When it comes to decorating your own home it can sometimes feel like such a tricky puzzle, can't it? There are parts of my house I've been mulling over for months (maybe even years) without finding the solution (admittedly I'm a bit of a procrastinator!). 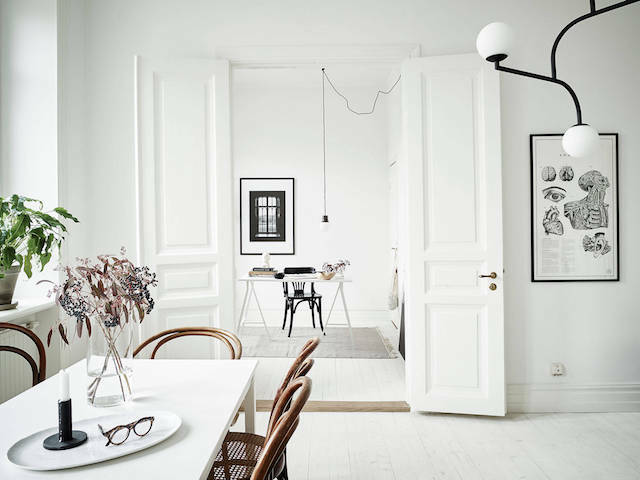 But when I see beautiful, white homes like this a sort of light bulb comes on and it reminds me that it doesn't have to be complicated. 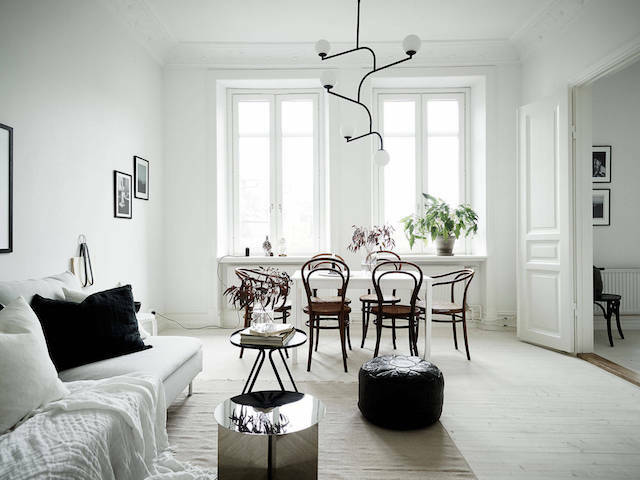 A simple colour scheme, some beautiful pieces, an unusual light fixture and some carefully placed pictures. How inspiring (and relaxing! ), don't you think? 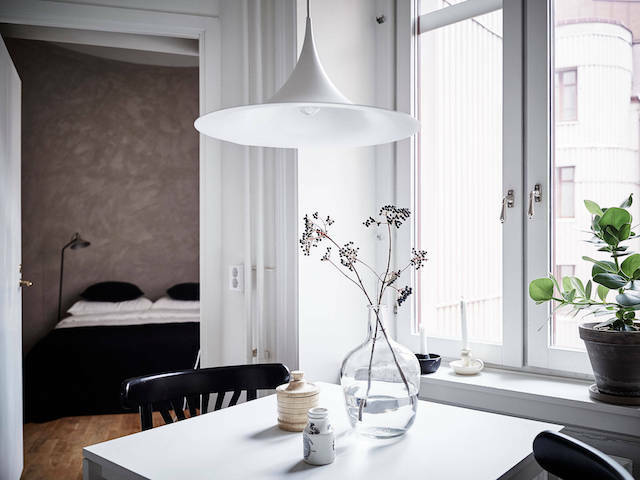 Credits: photos - Jonas Berg, styling - Greydeco for Stadshem (for sale here). It reminds me just how much I love white. It makes a space so much brighter, especially in the winter when the sun never really gets high above the horizon. 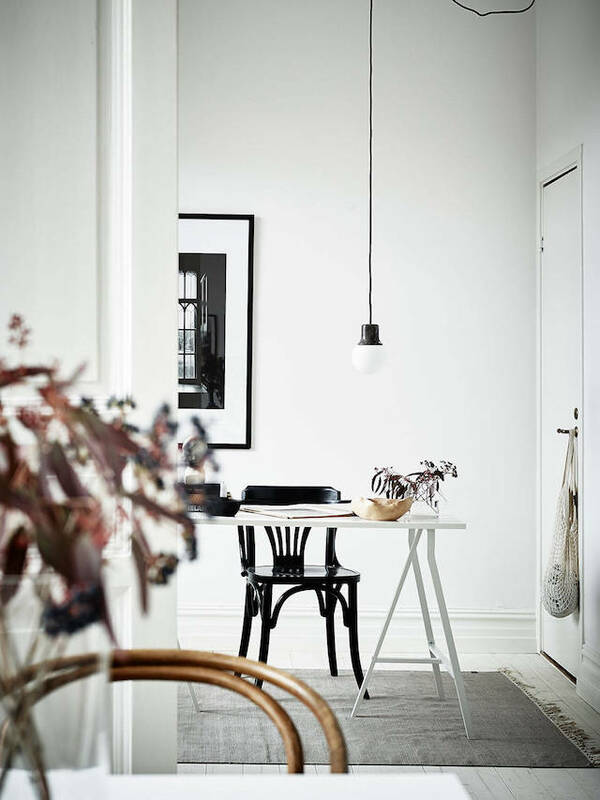 A few items I know and love: dining area - this and this style bentwood chair (source lovely vintage ones here), can anyone advise on the lighting over the table? Sitting room - Söderhamn sofa from IKEA, moroccan pouf, Slit mirrored side table by Hay. Office - &tradition mass light. Bedroom: Menu light. Mind if we dream over a few more white homes today? 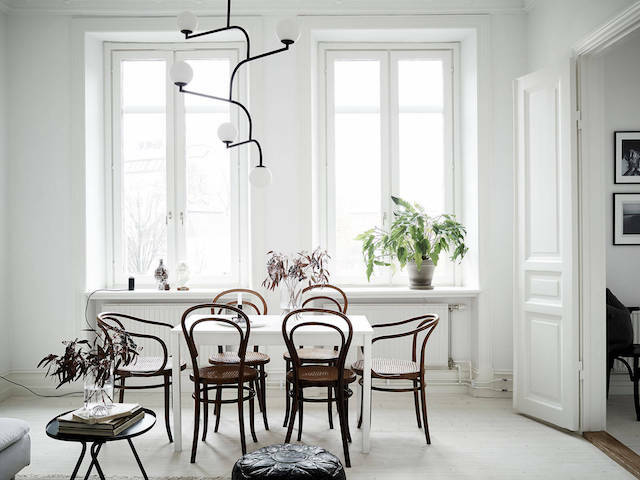 Like this serene home of a designer (that courtyard? 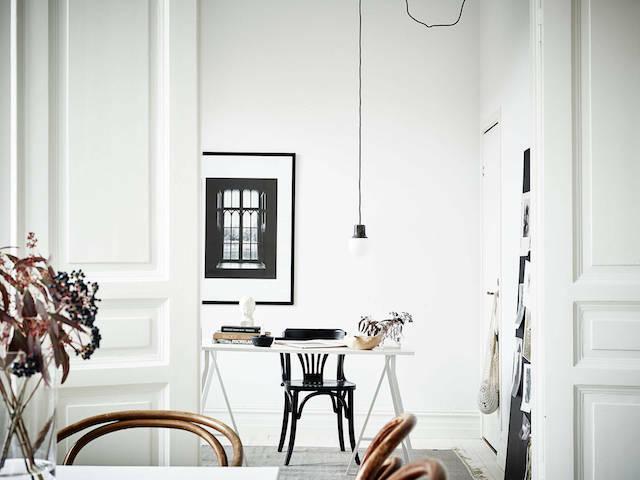 ), this Malmö apartment (probably one if the most pinned of all time), and The White Room (from a few weeks back). *sigh* and relax. 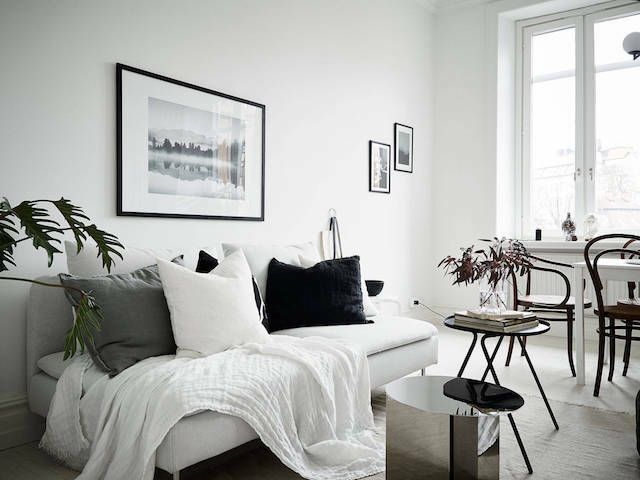 I've learned one of the most important things about decorating with white is texture. I spotted these amazing macarame wall hanging specimens the other day and thinking of getting a large one for my stairway (what do you think?) 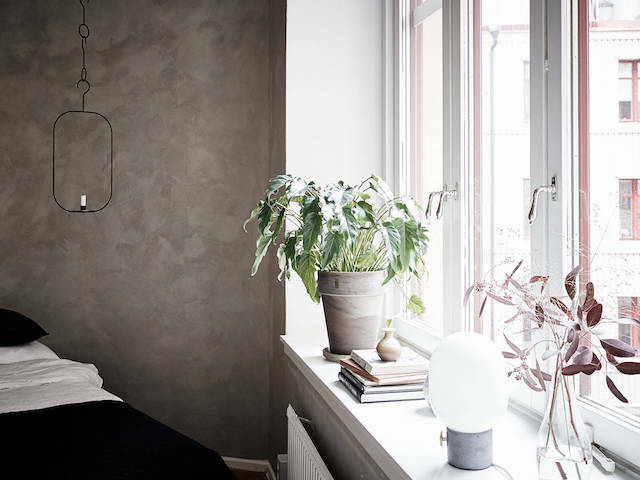 and of course there's always Gotland sheepskins (especially after yesterday's Swedish island retreat!). And a digression I admit, but just how cute are these Danish baby's sheepskin booties?! Perfect little pressie, hope my little niece isn't reading! Over the last three years, I've fallen in love with white. I'm slowly painting each room white, and am loving the results!! More of the white houses/apartments, please! Really all perfectly decorated and the furnishings are beautiful.